"An easy-to-use converter that quickly converts your MXF video files to other video formats of your choosing without the loss of quality." 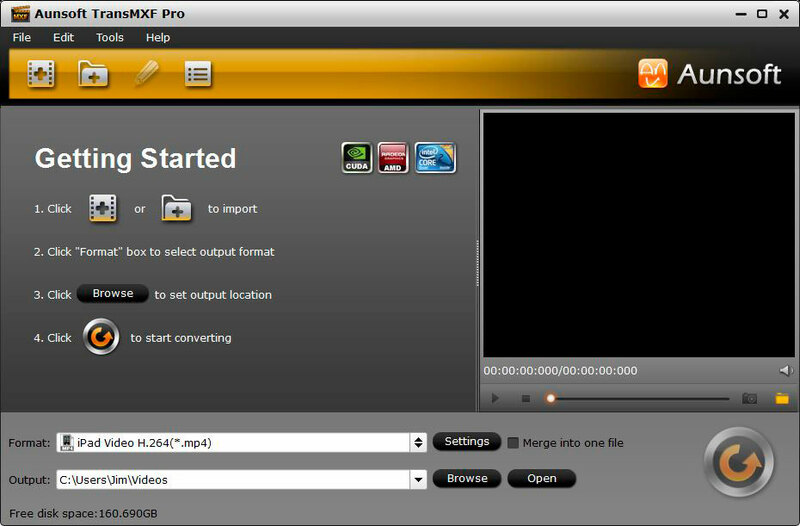 Aunsoft’s TransMXF Pro is a simple, easy-to-use MXF video file converter that quickly converts your MXF video files to other video formats without any noticeable loss of quality. This is done with perfect audio and video syncing and lossless quality assurance. There are many reasons one would want to convert video files to other formats, but a few common reasons would be to make it compatible with an application you wish to run it on or to lower the amount of hard drive space the video takes. If you would like to make it possible to run on your favorite media player, this would allow you to convert the file to be watched on the most common media players. It would also make it compatible with the most popular of video editing software such as Adobe Premiere, Adobe After Effects, Avid Media Composer, Sony Vegas, Movie Maker, and more! Aunsoft TransMXF Pro also gives you the ability to convert to formats that would make your video compatible to run on your mobile device. Whether your mobile device is a PSP, iPhone, or Android-run cell phone; you can rely on TransMXF Pro to do the job with speed and quality so you can rely on it maintaining its quality and be on your way. 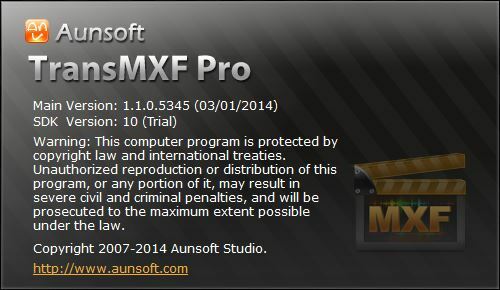 Aunsoft’s TransMXF Pro allows you to convert your MXF file to many of the most commonly used video file formats, including: MP4, MOV, MKV, AVI, MPEG, and WMV. Aunsoft’s TransMXF Pro also enables you to split large files into smaller ones, or merge several files into one large video file. This would want to be done for a variety of reasons, but the most common would be to split a large file in to smaller files for faster file transfers or saving hard drive space, or to merge many clips and footages into one large file for general organization or simpler video editing.